I knew this day was coming. I read the initial announcement and then subsequent casting changes in Us Weekly. I endured the previews at the movie theater. I saw (but did not view) the clips posted on my Facebook page. That’s right. 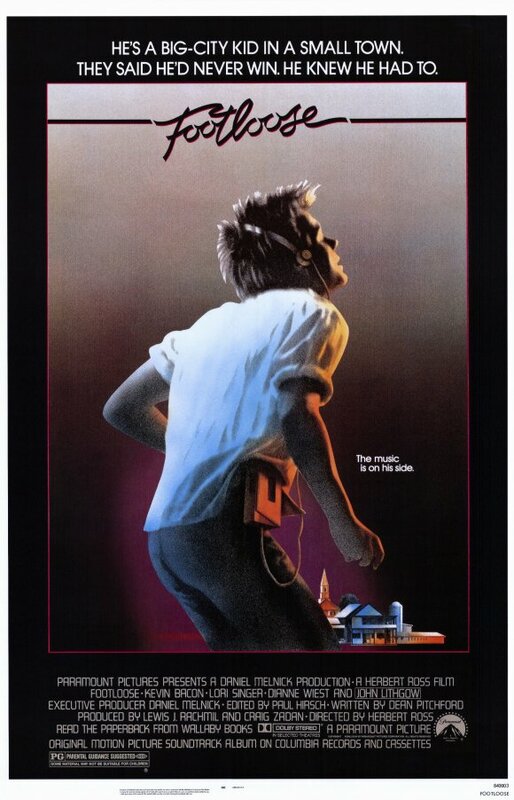 I’m talking about the re-make of Footloose which hits theaters nationwide today. The thing is, I’m terribly torn. On one hand, it is almost blasphemous to remake such a classic from my childhood. After all, it produced my first preteen crush in Kevin Bacon (who incidentally was 27 at the time, much like my other crush, Ralph Macchio. What was with these guys playing teenagers?) I went to see it at the theater three whole times. I bought the VHS version as soon as it was available in stores. My soundtrack tape was played until I knew every song by heart. I still request the title song at every wedding dance, and I perform the prom dance to the final refrain. So when I first learned that someone was actually going to touch my baby, I was a bit disturbed. Who could possibly replace Kevin Bacon, not to mention the brilliant John Lithgow and Dianne Wiest? What about Ren’s goofy sidekick Willard? (May Chris Penn rest in peace). And then there is Sarah Jessica Parker as she was breaking out of her nerdy Square Pegs persona. It’s refreshing proof that she didn’t always weigh 90 pounds. 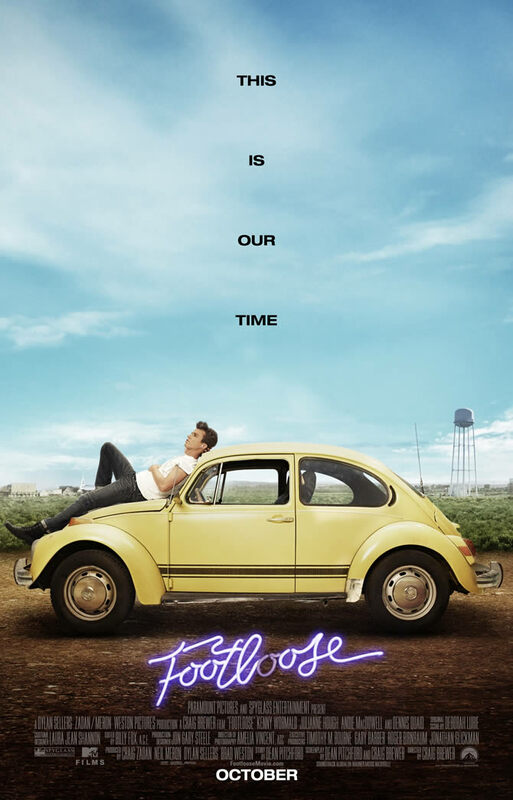 It’s not like a Footloose remake has not been attempted before. I was one of the few who actually saw the Broadway version, and let me tell you folks, it wasn’t pretty. There was a whole big line dancing number in it. Line dancing! I was also pretty miffed when the Footloose icon on my Facebook page automatically changed to the new 2011 version without my permission. Now when someone sees the list of my favorite movies, they will see the poster for the non-Bacon version. That’s just not right. On the other hand, I am a sucker for cheesy dance movies, especially if they contain various musical montages, an art clearly perfected in the mid 1980’s. To this day I still tease my mom that she would not let me see Dirty Dancing in the theater, even though I was fourteen years old. I guess she was afraid that I too would be seduced by a thirty-something resort dance instructor. Anyway, if the dance movie involves preparation for some sort of dance-off or competition, then it’s even better. Case in point: Flashdance. Girls Just Want to Have Fun. Step Up. Honey. Breakin’ 2: Electric Boogaloo. You get the idea. In the case of Footloose, it’s Ren teaching Willard how to dance. To be fair, some classics have been beautifully remade; True Grit and Pride and Prejudice come to mind. (I never thought that anyone could replace John Wayne nor Colin Firth, but they turned out just fine). However, my mind lingers with bothersome questions. If I see the new movie, will I be betraying my loyalty to the original? Will I be surrounded by a bunch of teenagers who don’t even realize this is a remake? Will I then go into a tirade about all the sampling in the music industry and start lecturing a random sixteen year-old about Kid Rock’s horrible mash-up of Werewolves of London and Sweet Home Alabama? Who knows what will happen. Sigh…I know what will happen. Stay tuned for a review.